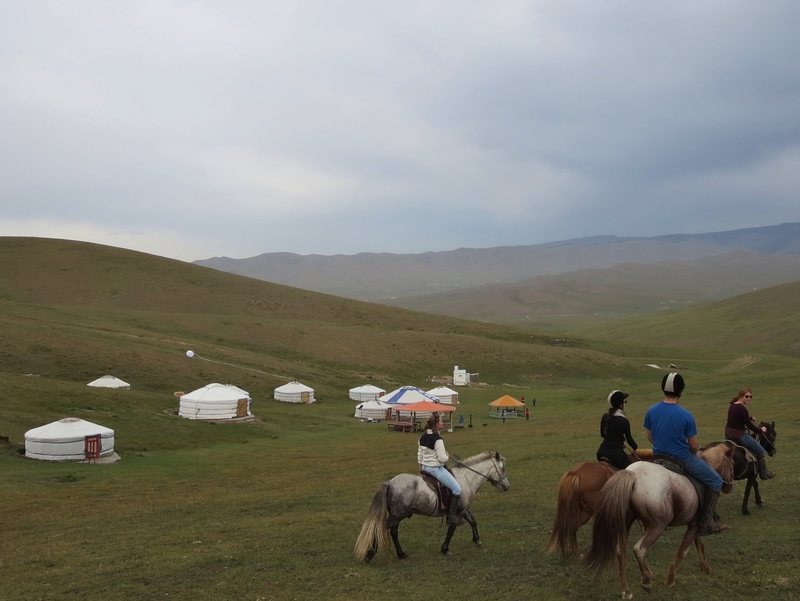 Two weekends ago I went to Steppe Riders, a family owned tourist camp about an hour outside of Ulaanbaatar. 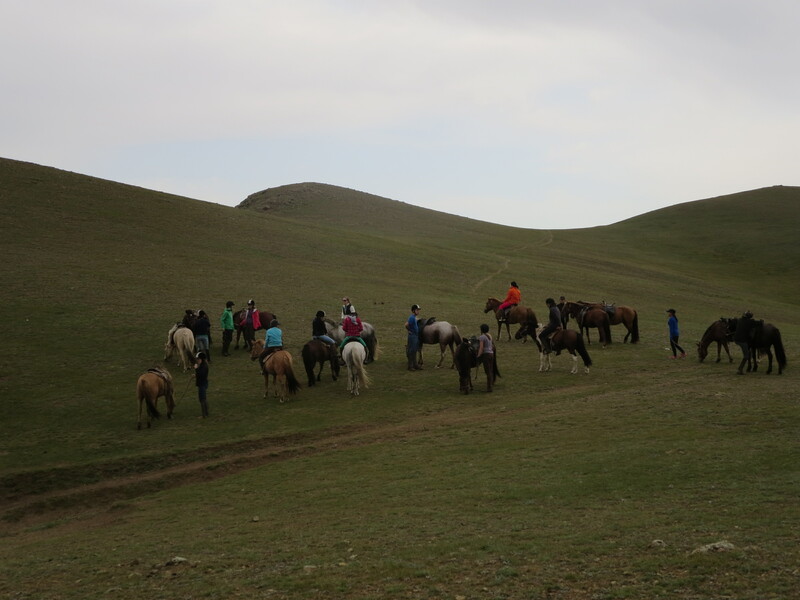 The group of ex-patriot riding enthusiasts I went with is appropriately named the “CC and C Riders” which obviously for Chaps, Chicks, and Chinggis (Khaan). 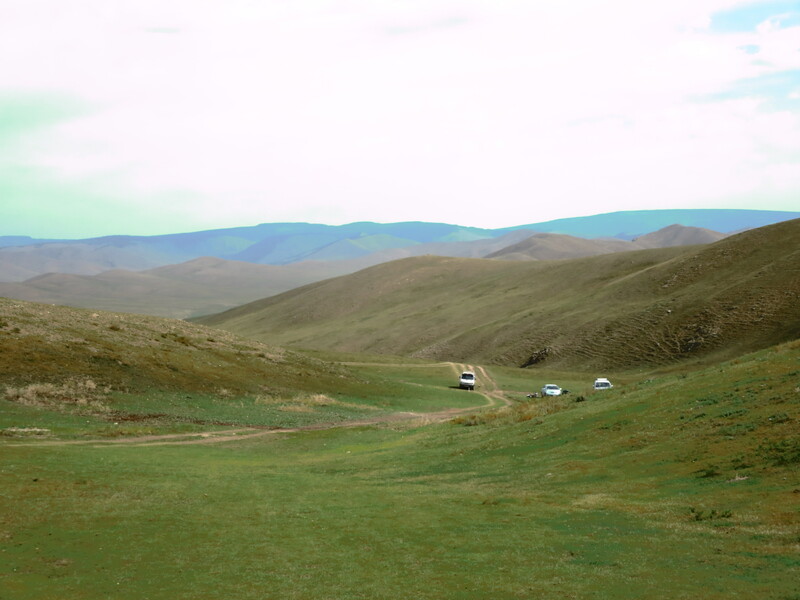 We convened in the morning outside of the Grand Khaan Irish Pub and loaded up into two vans. 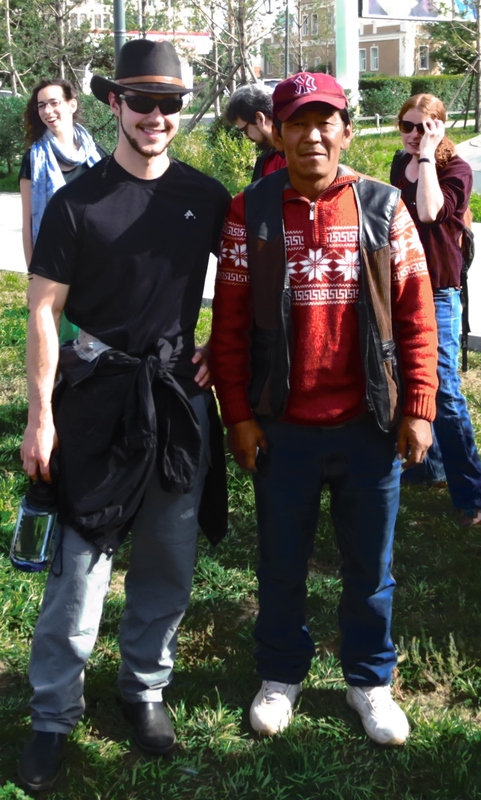 I’m not sure who this man was, but he really wanted a picture with me as our group gathered to carpool! As a general rule, if someone wants a photo with me, I make sure to get one with them too! As usual, the ride to the countryside was filled with massive potholes, close-calls with oncoming vehicles as both drivers tried to avoid said potholes, and the occasional gravel flicking up onto the windshield from cars in front of us. It was a true pleasure to meet both a New Englander and a Spaniard on the ride, both from places I’ve called home! 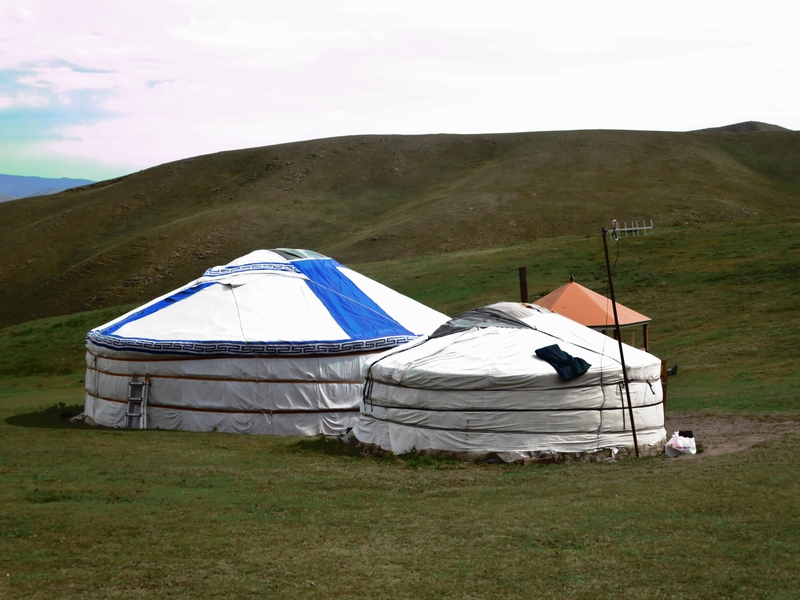 I’m glad I had a chance to chat with both about their life stories and experiences of Mongolia so far! The view of the crowded parking lot that we pulled into after the bumpy ride. 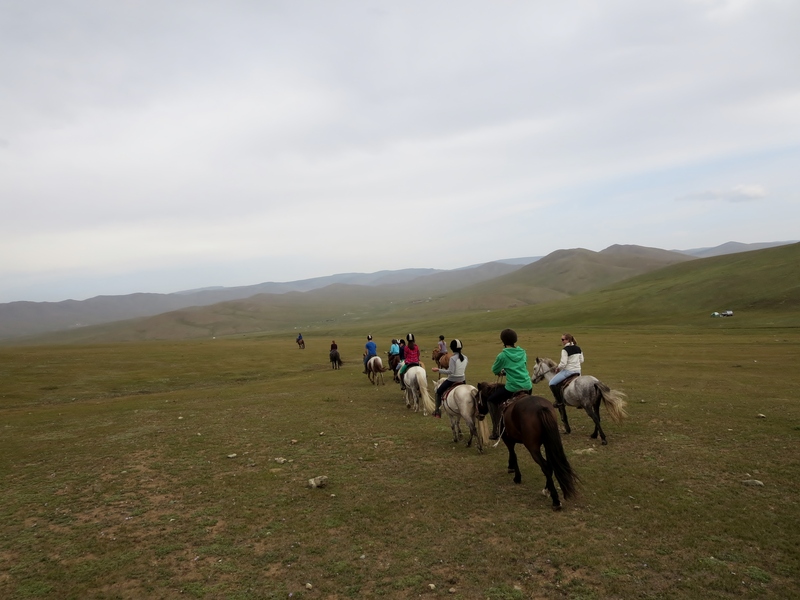 Steppe Riders is in a beautiful valley nestled far enough outside of the city to ensure that the air is fresh and the views of the sprawling vacant hills are spectacular. 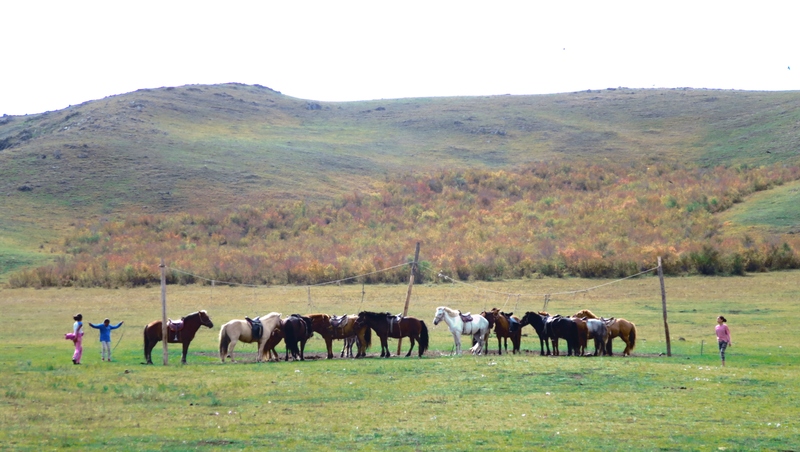 With over a hundred horses, it’s not a small operation. The agency relies on seasonal temporary labor from English-speaking foreigners, who come from all over the world to volunteer there for weeks at a time. 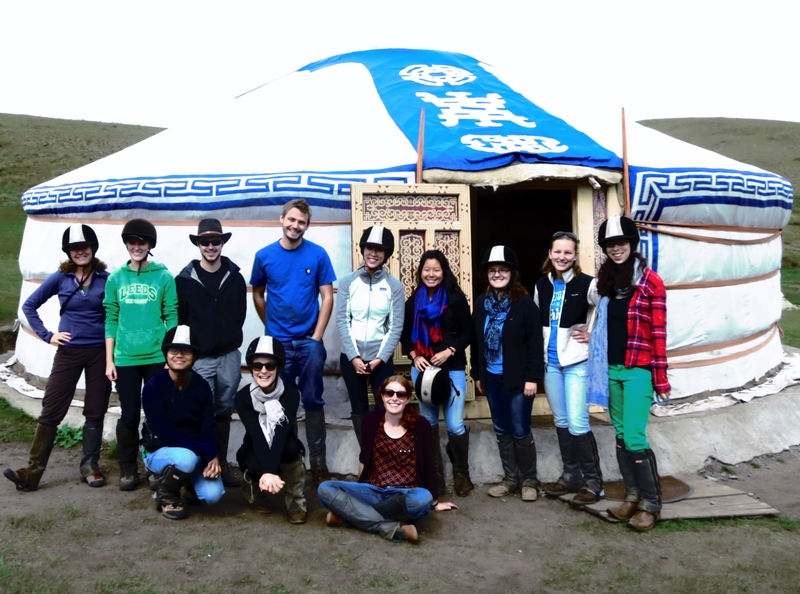 We met folks from Australia, New Zealand, and Seattle who had been there helping to prepare meals, serve guests, clean gers, groom and tack horses, and help lead rides for guests. 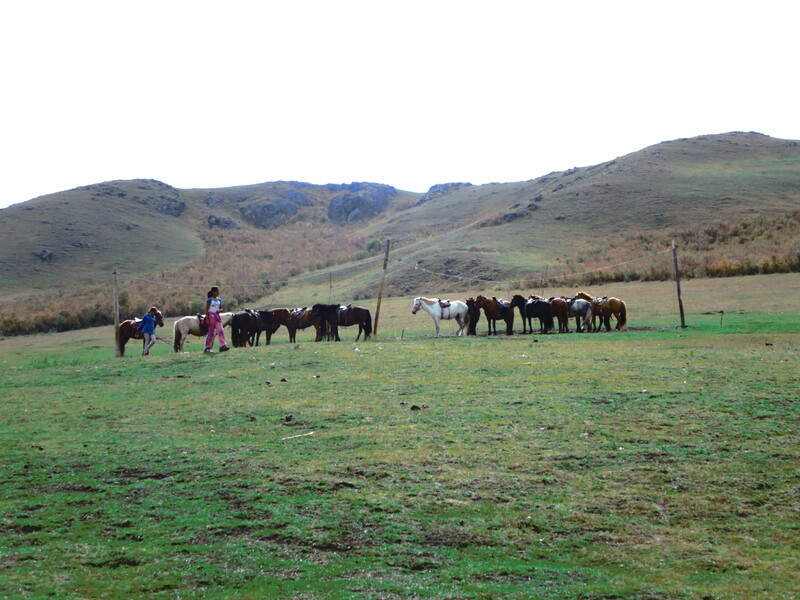 Foreign volunteers pay $150 a week for the costs of room and board and get access to the horses and trails after guest rides are finished for the day. They even get to help lead overnight rides too! 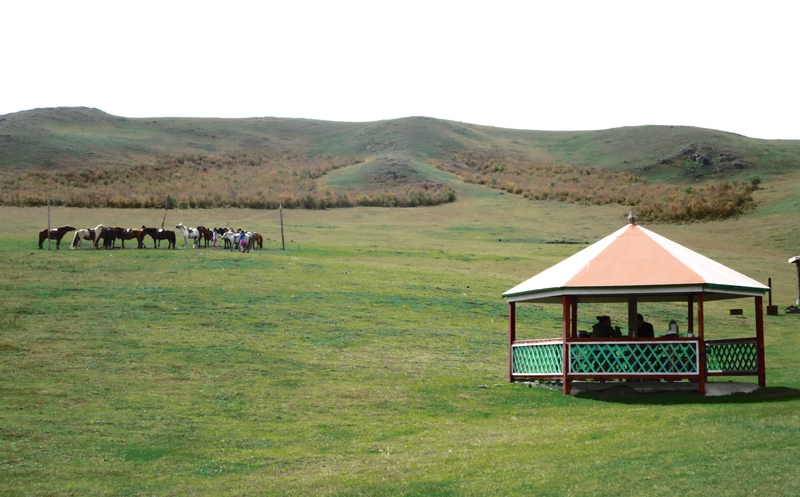 This is the guest gazebo where we had tea and played a traditional game of “ankle bones” before suiting up for the ride! 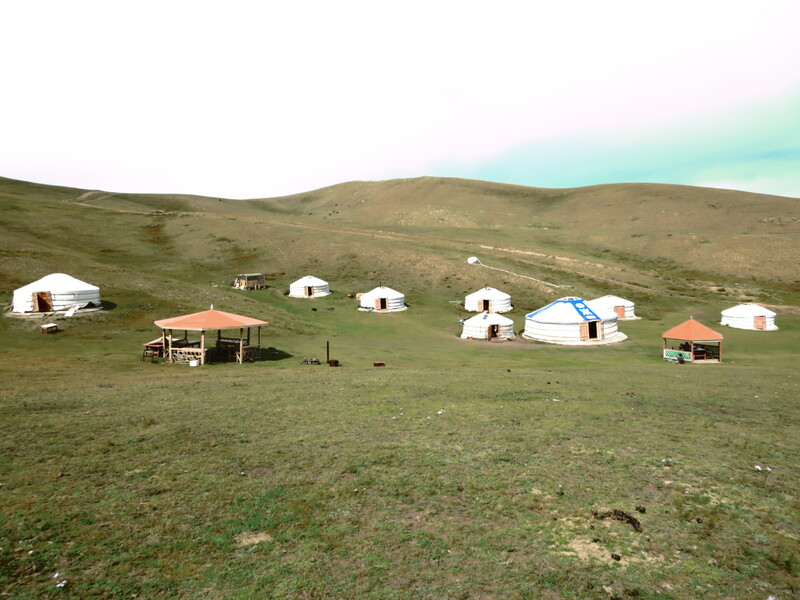 These are the guest gers which tourists can stay in overnight if they’ve booked multiple days of riding. The horses are tethered to the line, tacked and ready to go! These kids are part of the family business plan. They “help out” with many of the chores and provide excellent entertainment for all. The large blue-roofed ger is home to a long table where meals are served to guests. The ger beside it is the cooking tent. 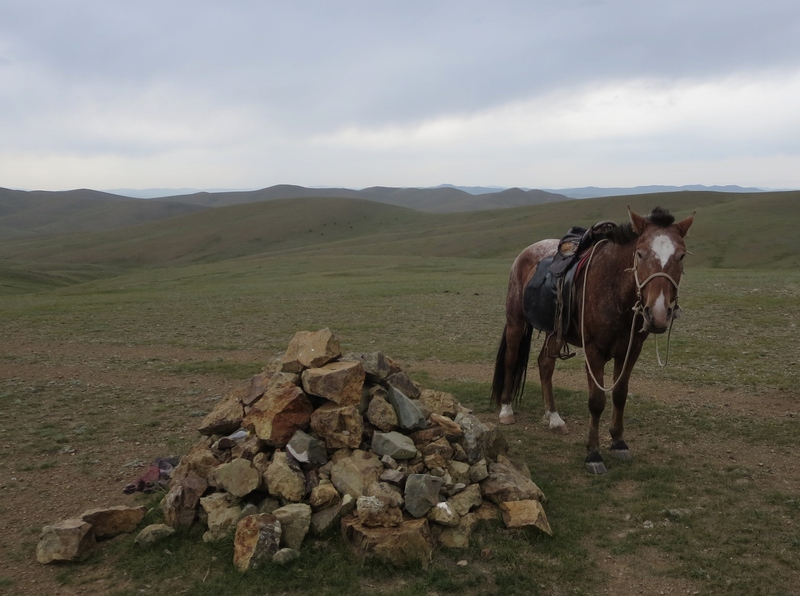 Unlike the previous riding operation I went to, Steppe Riders supplied helmets, chaps, and English-speaking guides. They didn’t even whip our horses and try to herd us! In fact, they even made an effort to make us feel welcome by offering us tea and asking about our riding experience beforehand. They even suggested dividing us into groups based on experience! How refreshing from our last ride! Meet a few of the CC and C Riders! View of the camp from my horse after saddling up. 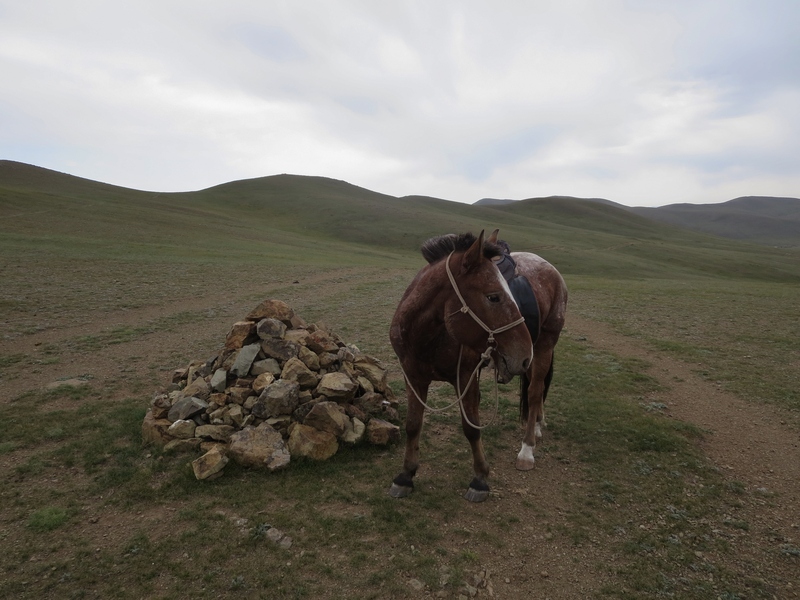 I think as a general rule in Mongolia here, if you want a decent horse you need to explain profusely that you are an experienced rider. 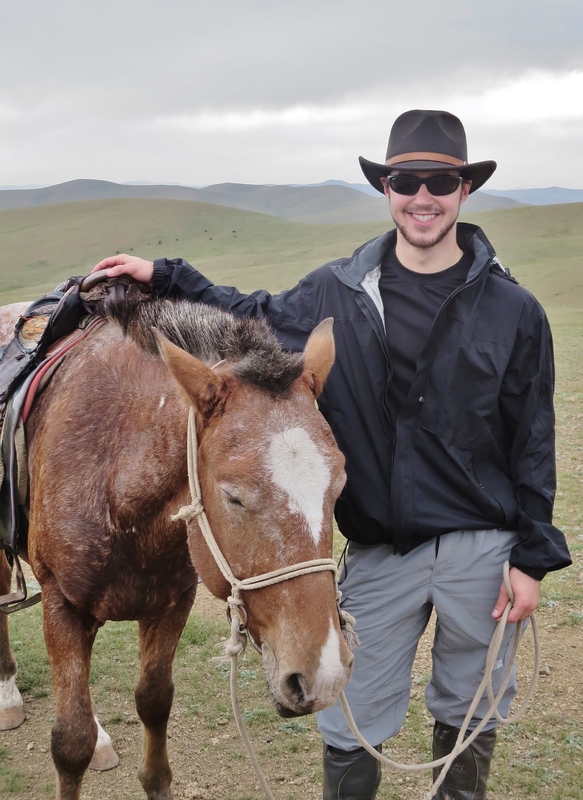 Otherwise, most Mongolian tour operators will give you a clunker that has some temperament issues and doesn’t like to gallop. 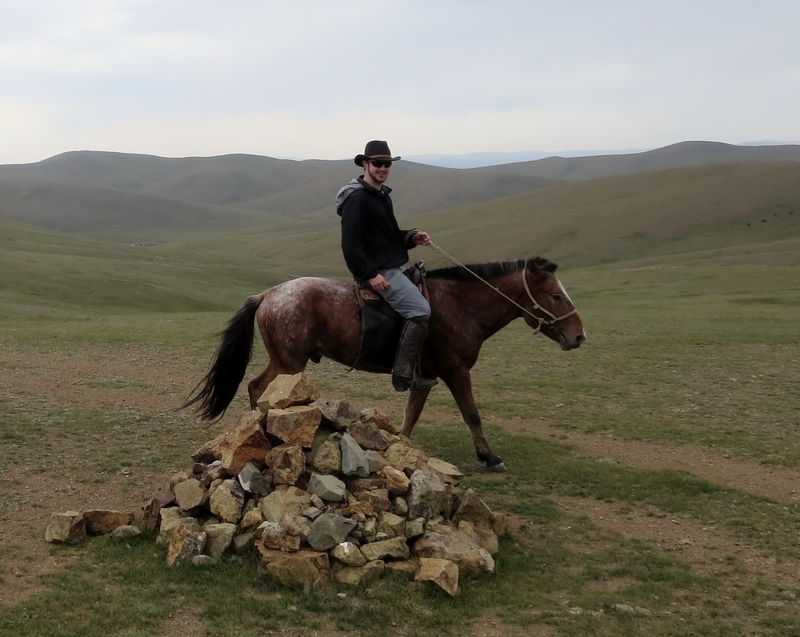 I think that, probably for good reason, every place I’ve ridden the herders have been very cautious to let any foreigners ride their faster horses. (Although I admit so far I’ve lucked out. 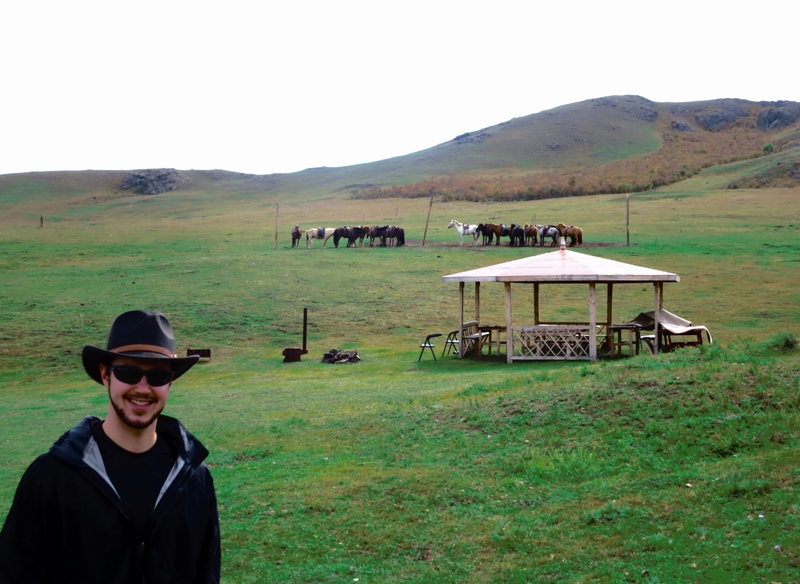 I think that just because of my hat and cowboy boots people take me a bit more seriously!) In general though, in comparison to the locals in the countryside who ride day in and day out starting at age three or four, all foreigners lack experience! My favorite mode of transportation! 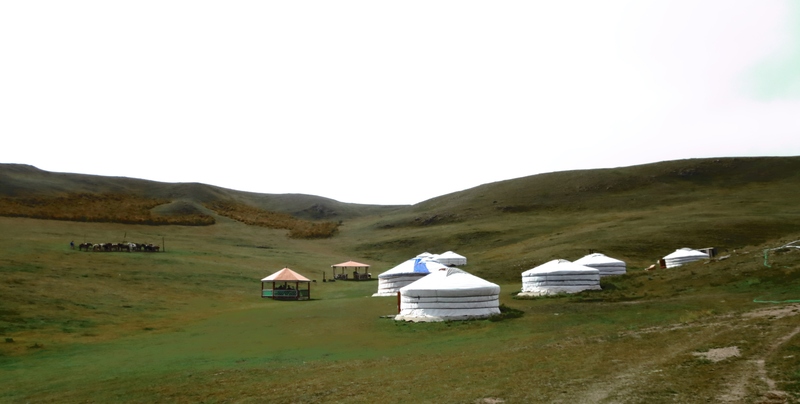 Leaving the camp, we reach the expansive rolling hills. At this point, the divide between the beginner and more experienced riders becomes evident. It also became obvious who had a horse that liked to run and who didn’t. My horse liked to run a lot! My friend Katie’s horse also like to let loose and we raced our horses across the plains at a full gallop for a few hundred yards at a time before forcing our horses to take a breather and trot or walk. Circling a “odoo” on my quarter horse. These sacred rock piles are meant to be circumambulated three times in a clockwise motion. 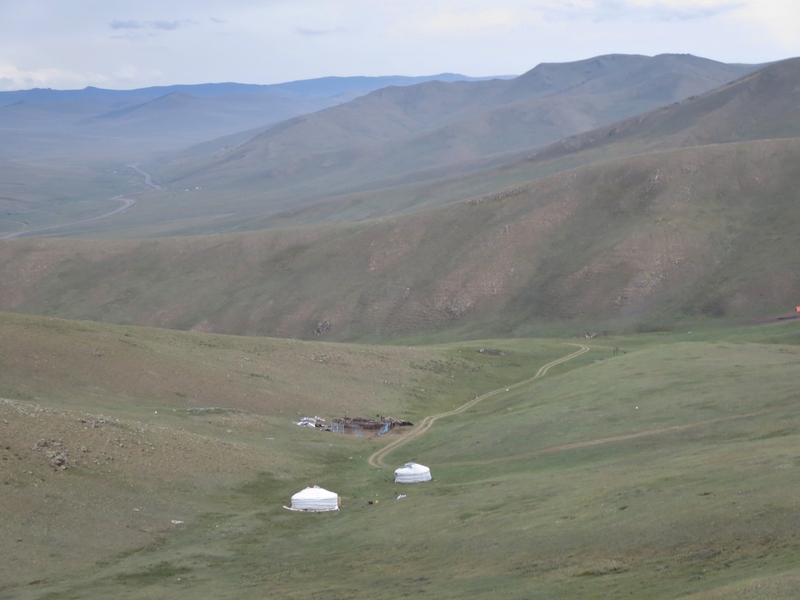 It’s a practice to pay respect to the spirits of the mountains and valleys and is generally observed by rural Mongolians on foot. Looking stoic, maybe slightly suspicious of his rider. Our group together at the halfway point! 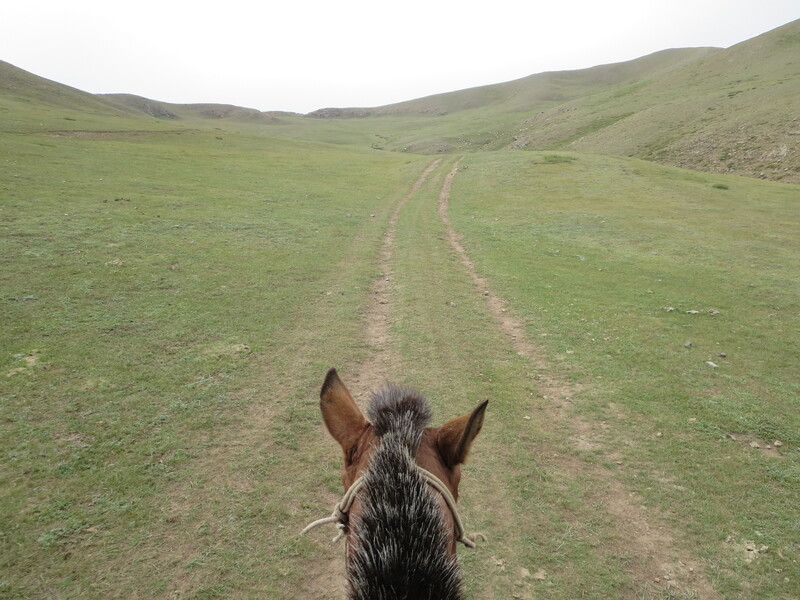 One of my favorite points on the ride was our last run up a dirt road when the guide looked at me with a “you wanna gallop?” expression accentuated by an arch of her eyebrows and a wide grin. 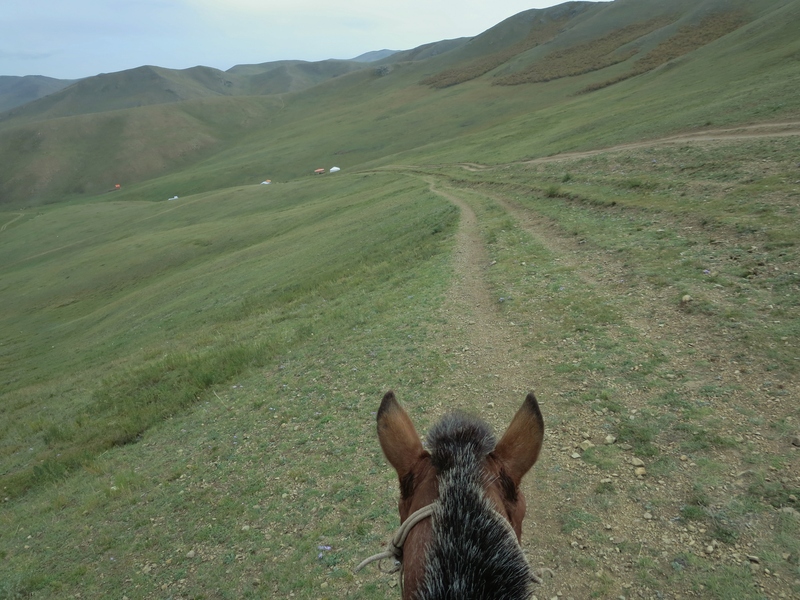 “Of course!” We raced past the cows that darted off the road ahead of us and passed the Mongolian herd dogs barking and chasing at our heels. Getting back to camp after a long loop! 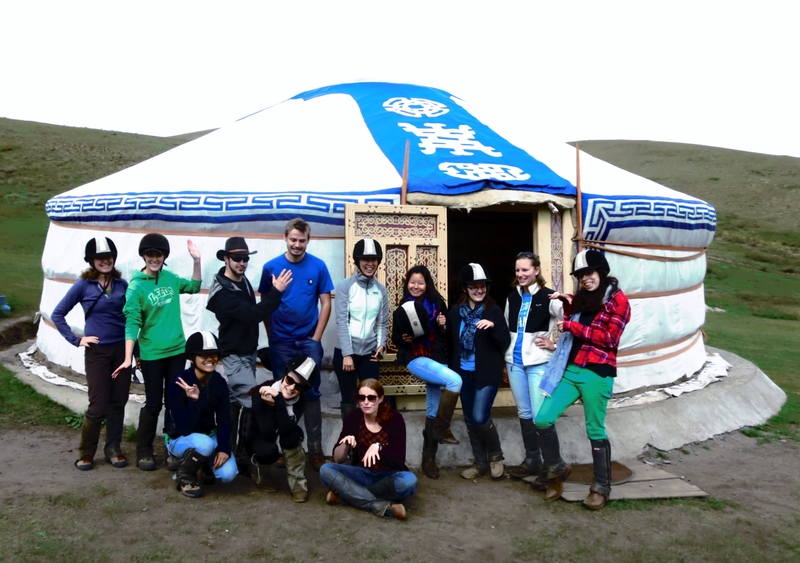 Overall, Steppe Riders was a great experience! Although the ride could have been a bit longer than the two hours we were out, the service was wonderful and the horse I was given had some serious spirit. The scenery was gorgeous and the meal of tsuivan,” homemade fried rice noodles and veggies, at the end of the day was delicious and filling. One of my highlights of the day was the ride back, where I got the chance to talk with my new Spanish friend in “Castellano” for an hour or so about everything from her hometown of San Sebastian to travel in India to Buddhism! Oh how I miss speaking Spanish every day! 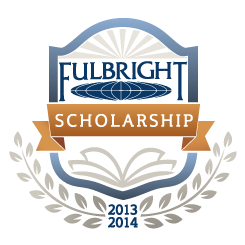 I suppose I came to the wrong country for that… but I have plans now for weekly Mongolian lessons.